With the world coming together through the live video streaming app like Periscope by Twitter and Meerkat, looks like now the social networking giant Facebook is ready to join the competition. The company has released out a new app called the “Riff” which will allow the users to not only create but collaborative the videos with their family and friends. The app is currently available for Android and iOS platforms. Users will be able to share their Riffs either through web or on Facebook. As per the Josh Miller, who is Product Manager¸few employees from Facebook stayed and were working on some kind of huge project. The company had the feeling that if they are able to make videos collaboratively, the entire creative process will become much more fun and the end result will be much cooler. So now the company has come up with Riff, its creative tool of making videos with friends anywhere. So what the users have to do? Once they have installed this app, they have begin with a topic like #ValentinesDay and then start recording videos for nearly 20 seconds. The app user’s friend from Facebook can now view this clip and further add their 20 seconds clip to the same video. This is how a small video will be converted into a huge video with just a click. In case this project is turning out to be incredibly large then they can skip some of the clips with the help of the fast forward button. Miller further added that the company drew the inspiration for Riff through the very popular ALS Ice Bucket Challenge in the year 2014. During the ice bucket challenge millions of people soaked themselves in iced water and uploaded and shared the videos for raising money for the charity. He further added that the massive growth and the idea became viral due to the fact that the user once soaked them in iced water will nominate three people to do the same and upload their videos. As far as Riff app is concerned, there are certain rules that have been set for the user, like they will get a countdown of 3-2-1 for approving their videos clips and posting it for others to view it. 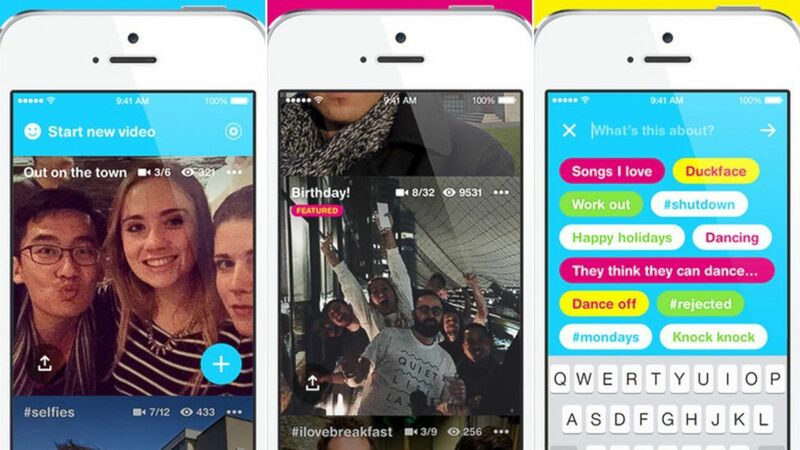 Unlike apps line Vine and Instagram, Riff does not have any feature of multi-shot recording or video editing. Riff also does not have any feature through which the viewer and the user can with comment or even like the video. The Riff app is currently available 9 languages which include Japanese, English, Portuguese, Italian, Thai, French, Polish, and Vietnamese. Another main thing to remember here is that the user will only have to use the app if they want to record or make the videos, however they will not be able to upload any videos from the Gallery of their phone. The users will able to share their videos or so called Riff by sending the URL in their emails as well as the updating the same in other social networking websites.